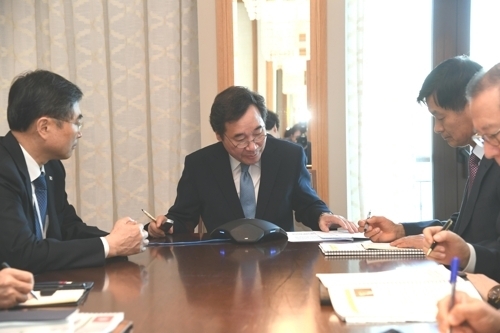 South Korean Prime Minister Lee Nak-yon has asked the Libyan government to help win the safe release of a South Korean and three Filipino workers abducted in the African country, the prime minister's office said Thursday. The request came in a telephone conversation with Fayez al-Sarraj, chairman of the Presidential Council of Libya, according to the office. The call was made Wednesday from Tunisia, where the South Korean prime minister is making a visit. The four workers were taken from their worksite in Libya on July 6 by a group of armed militants. "I ask you to continue helping to win the return of our citizen, as the South Korean government places top priority on the protection of the life and safety of its citizens," Lee told al-Sarraj, according to his office.